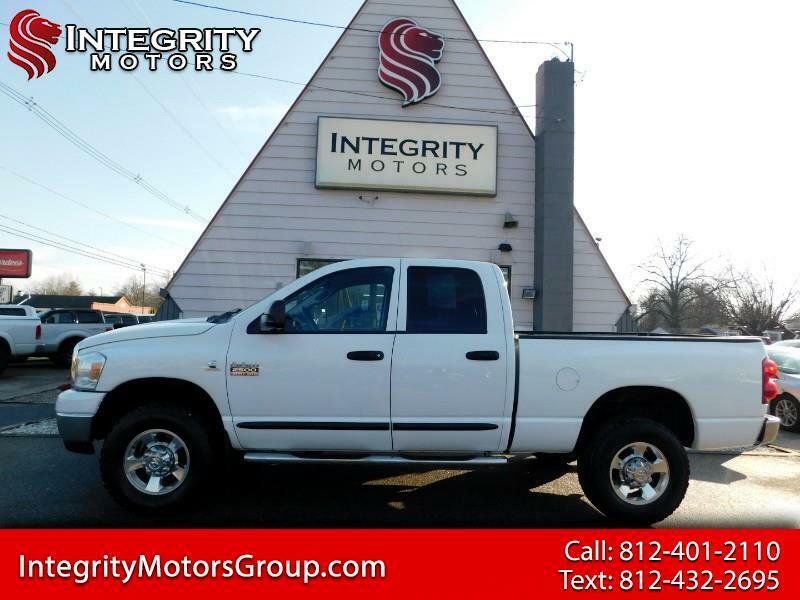 White 2007 Dodge Ram 2500 SLT 4WD 4-Speed Automatic Cummins 600 5.9L I6 DI 24V High-Output Turbodiesel CLEAN CARFAX, Cummins 600 5.9L I6 DI 24V High-Output Turbodiesel, 4WD, 6-Way Power Driver/Passenger Seats, ABS brakes, Bright Interior Accents, Compass, Dual Zone Temperature Air Conditioning, Folding Flat Load Floor Storage, Front Center Seat Cushion Storage, Heated door mirrors, Heated Front Seats, Illuminated entry, Leather Trim 40/20/40 Bench Seat, Leather Wrapped Steering Wheel, Rear 60/40 Split Folding Seat, Remote keyless entry, Woodgrain Instrument Panel Bezel. Recent Arrival! Odometer is 7584 miles below market average!